Not much new, still programming, making progress. 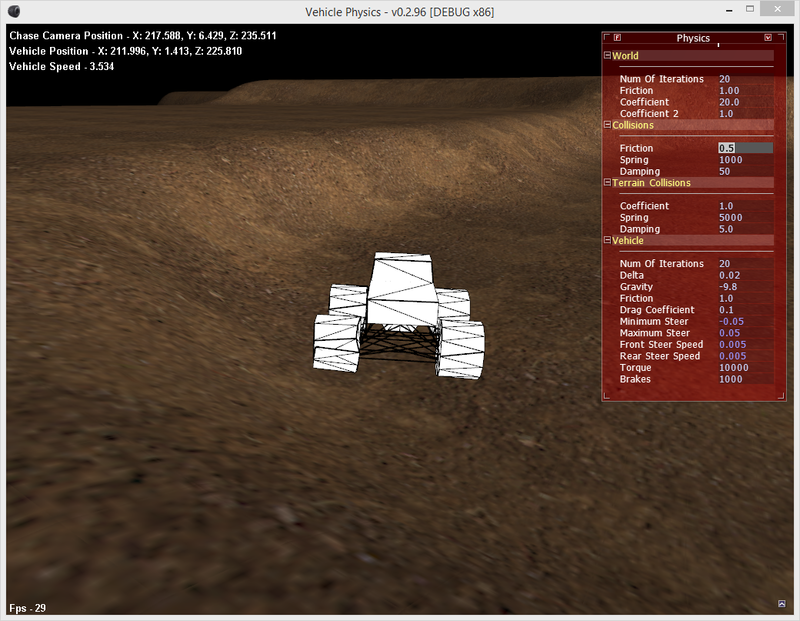 I have implement a user interface to modify variables of the physics in real-time. Here is a screenshot of it in progress. This still needs some tweaking before I will release it, hopefully some will come forward and modify physics like they did for MFR... Get something going that is decent and build from that. The physics I have come up with are alright but still need tweaking. 29 fps? When I played your last release though it was smooth as butter, so, processing physics at the cost of what? CPU resources? memory? ..Or is it just not rendered at the moment because you're modifying the physics stats? 29 fps is because my vertical sync was on at half of the normal 60, when turn it off I get 900+.